Landscape photos are hard to miss when done correctly. The right one might make such a huge impression on viewers that it is redone by artists and other photographers. Let's take a look at 9 secrets to taking a gorgeous landscape photo. Anyone can take a photo of a landscape but takes some skill to get a gorgeous photo of a landscape. Just like anything else, practice makes perfect. Consider these secrets to taking great photos and have fun trying some or all of these out. 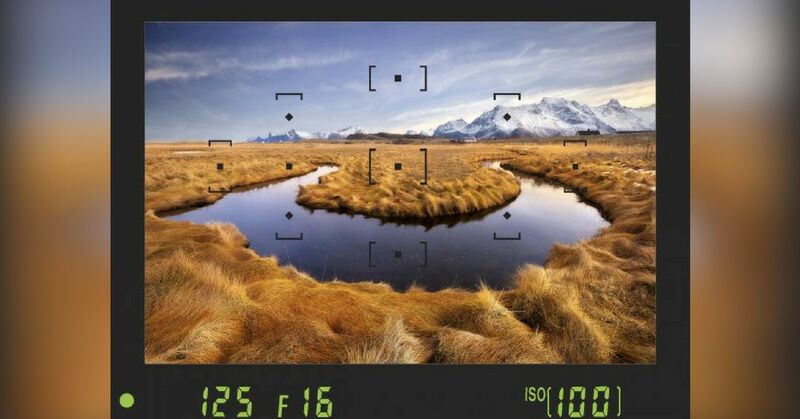 Before doing anything else, set up your camera so that it is ready to shoot those gorgeous landscape photos. Aperture Priority mode is best since this will let you handle shutter speed. The ISO should be set to 100 and the aperture set to f16. Put the metering mode to Evaluative/Matrix to let the camera take in all light and create the best exposure for your landscape photo. All of the setting changes could slow down your camera's shutter speed. If shutter speed goes below 1/125 sec, place the camera on a tripod. Putting your camera on a tripod and using remote release will help prevent camera shake. Having a tripod handy is essential to producing a gorgeous landscape photo. As stated above, taking a picture with a camera on a tripod can help prevent camera shake. Camera shake is when a blur shows up in your pictures from small camera movements while taking pictures at slow shutter speeds. Since you may have to walk quite a distance to get to the perfect spot, you only want to pack what you will need. Pack some batteries, lenses, cleaners, and some layers of clothing based on where you will be taking your photos. Taking a gorgeous landscape photo is also all about what location you choose. You want to plan ahead of time so you know exactly where to go and what time of day is best for that particular location. You also want to plan ahead so that you have plenty of time to take photographs and enjoy your surroundings. The type of light on a landscape photo can make or break the image. You want to take the photo at the right time of day, preferably in the morning or afternoon. The harshest light will be in the middle of the day, so try to avoid taking photographs at this time. You want to get the composition correct on your landscape photo. There are several ways to do this. Of course, if the view doesn't look right through the camera, you will want to play around with angles to get the best shot of your landscape. Always take photos in RAW format when possible. RAW formatted photographs are much higher in quality than JPEG photos. RAW formatted photos can also be changed to other formats, which is not true the other way around. Landscape photos can be shot with a variety of lens, although wide angle is best for those wide shots you will want to take. Based on the type of camera used, you will want a lens that is 15-30mm for those wide views. If you think everything in landscape photography has been done, then think again. Follow these and other guidelines to get you started with taking landscape photos, but also experiment and test out your own techniques. In no time, you will be shooting some of your own gorgeous landscape photos.